So the other day I got a message from my sister Jodie asking if I could dip dye her hair, I got a bit excited and said yes straight away. I then thought about what the repercussions would be if it all went wrong but remembered sisters are allowed to scream and shout at each other without anyone being too offended, so I decided it would probably be best attempting to dye Jodie's hair then one of my friends. I did ask her if she would dye my hair and she said 'no way I have never done it before', love the fact that I had never dip dyed before and she trusted me enough to do it for her. 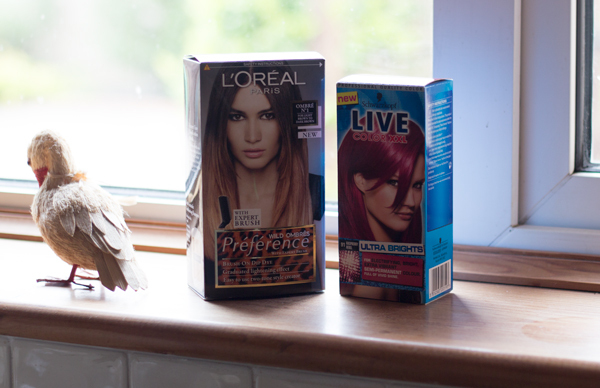 Jodie turned up at my mums house with two packs of dye, one was L'Ore´al Ombre number 1 shade and Schwarzkopf Live in raspberry rebel. We started with the lightening pack which worked really in lifting the ends a bit but not to colour on the box, it was more of an orangey colour. 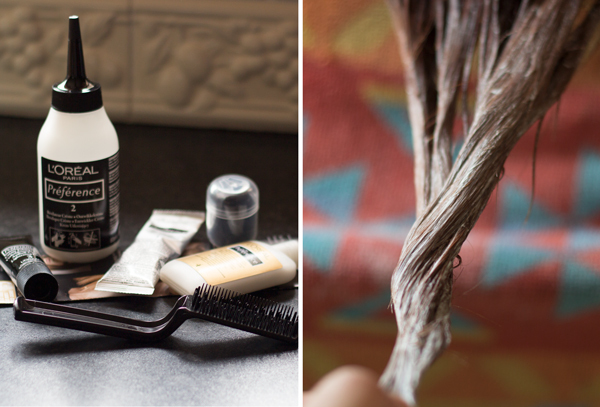 If you are looking to dip dye your ends blonde and your hair colour is really dark I wouldn't use this, however it is perfect to lift your ends enough to put a bright colour on. The pack did also come with a really useful brush to blend the colour onto the tips. 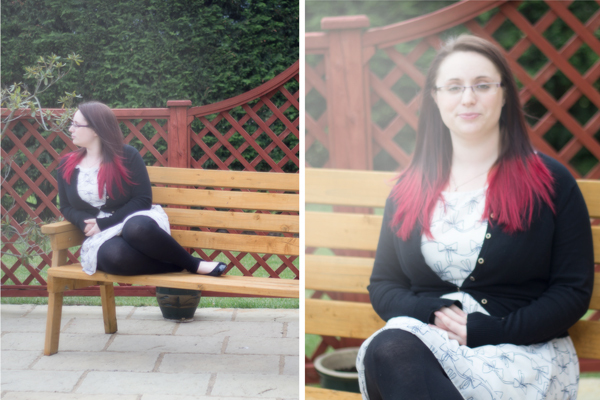 Jodie then washed the dye out and dried her hair so we could apply the bright pink. 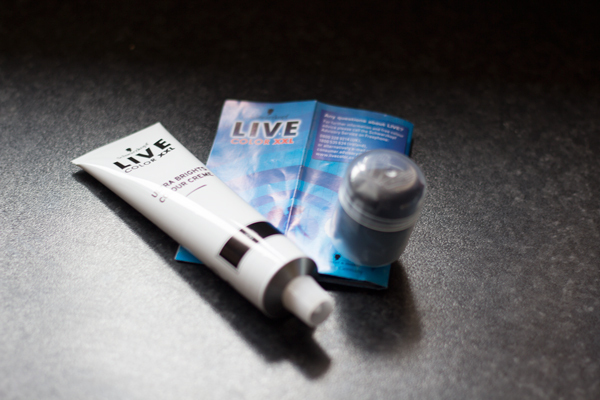 This was so easy because it came with just one tube of dye, no mixing you just need to pop the lid off and apply. 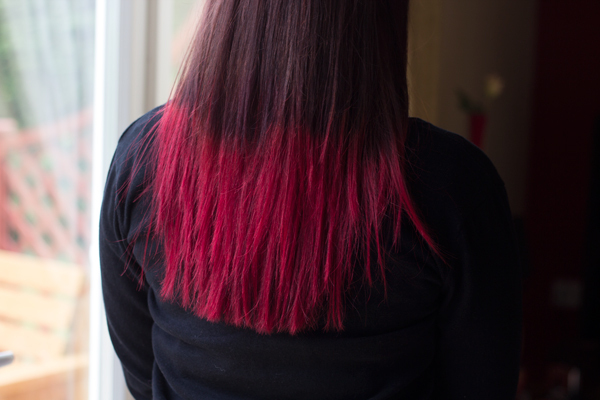 The colour was such a lovely dark bright pink and the dye was a really easy texture to spread. The one thing I will make sure I do next time is to not try to make an even line, it looks much better being jagged. It is also a semi permanent dye so won't last long, however it does give my sister the chance to change the colour of her tips regularly because she won't need to lighten them up again. She is already thinking about going for the even brighter pink next time. I am eventually planning on dying my hair a lilac colour I am just waiting for it to be light enough to do it (lightening up through highlights instead of full head so I don't completely ruin my hair) I will hopefully share my full head pastel colour experience with you all as well, once I have done the deed. If you enjoy my blog please nominate me for the Cosomopolitan blog awards for fashion newcomer with Next. Just click on the image below to vote or here. Wow, I love it. Awesome new hair!! This looks amazing! 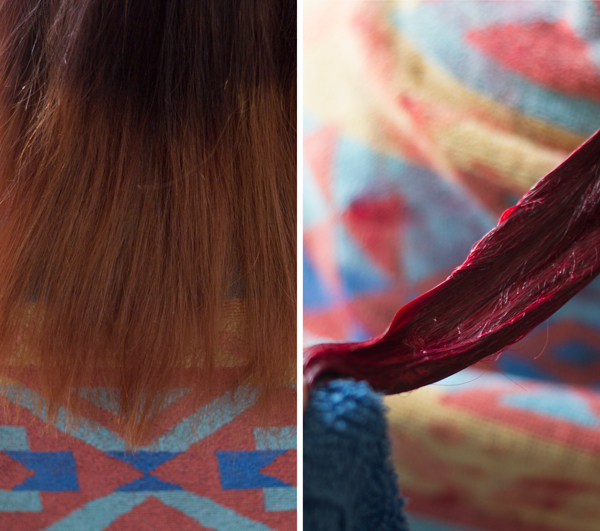 I've been toying with the idea of dip dye and this seems crazily easy?